Paramhansa Yogananda’s advice to be actively calm and calmly active is so important for our well-being and success in life. 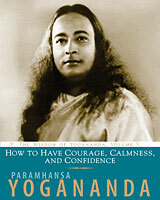 Yogananda wrote: Apply the experiences of peace and poise received during concentration and meditation to your daily life. Maintain your equilibrium amidst trying circumstances, and stand unshaken by others’ violent emotions or by adverse events. Swami Kriyananda’s secret to creativity and accomplishment was to remain always peaceful inside. He never allowed anything to shake his inner peace. Swami wrote: The yogi sees all movement in the universe as proceeding from the heart of eternal stillness. Effective action springs from a center of stillness. Naidhruva writes: Calmness and self-control are essential aspects of strong will power. The will does not become will power until it is directed calmly and with control. Calmness gives us a sense of proportion and renders us less vulnerable to wrong impulses. We will have strong will power when calmly, without mental strain, we are able to control our behavior and focus our full attention on our goal. Yogananda wrote: The aspiring yogi must keep his mind steadily fixed on the inner perception acquired by meditation, and should not allow his mind to be ruffled by the temporary outbursts of superconscious joy, or the temporary explosions of subconscious restlessness. Such a yogi finds his unchangeable altar of calmness the resting place of the ever-new joyous spirit. The resolute, even-minded moral individual moves steadily forward until he reaches his goal of complete self-mastery. An unruffled calmness can be gained by deeper and deeper meditation. During the day, especially when you are very busy, try to insert moments of stillness. Pause, and take a moment of stillness. Then continue with your activity. Adding moments of stillness will help you to connect with peace. 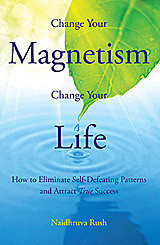 It will infuse your day with peace and improve your next meditation. Regular deposits of peace into your life’s bank account will help you to create the habit of being peaceful and will reinforce the benefit of meditation. You will feel calmer and happier. Try it and see for yourself. This entry was posted in Meditation and tagged calmness, Healing, meditation, Paramhansa Yogananda, self-realization, stillness, superconscious, The Deeper Teachings. Bookmark the permalink. Yes, and the Energizing Exercises help to make me actively calm and calmly active all day. Will try this exercise too. Thanks Nayaswami Diksha McCord ‘Be actively calm and calmly active’ I could not understand this phrase long time.I joined Self Realization Fellowship 1989,used to read lessons bur awareness started 1990.After my daughter’s wedding,ifelt extremely happy but still empty.With time I started feeling completer that son law is added member of the family.Relatives from India staying at my home, too much activity, which feels good when you are at peace.Financial stresses, family stresses over powered me and my husband drove me to Encinitas and I stayed there two days, in master’s feet cried a lot for inner strength and heard Dana Mata’s video, actively calm and calmly active.We must do our duties and keep praying with Master’s presence in the heart, who adds energy, peace and inner strength.I repeat in every class to my students this phrase and don’t let them get lazy.I practice Savasana with the same wording and keep my mind calm.Blessings dear Diksha.